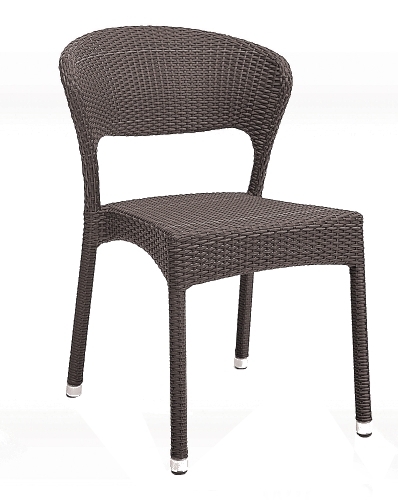 This outdoor wicker side chair features an ultra comfortable high back. Designed for commercial patio seating, this chair will stand the test of time. Stack it 7 chairs high while not in use.